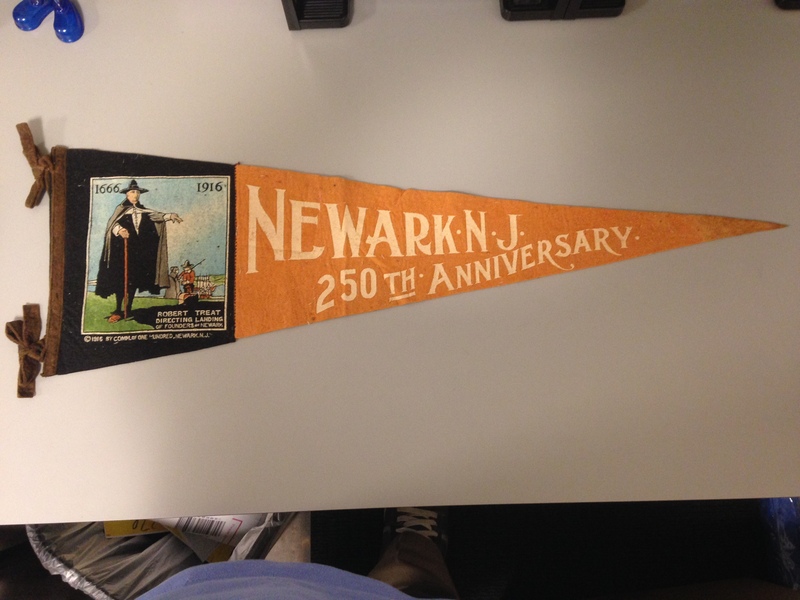 This felt pennant was manufactured by the Annin Flag Company under the auspices of The Committee of One Hundred. The committee was made up of Newark’s business , cultural and religious leaders. Their task was to oversee the 250th anniversary celebration. Annin Flag Company was founded in 1847 and is still in business. They are considered the pre eminent American flag maker. This was no cheaply made souvenir, it was and is a quality product. More amazing still is that the pennant has survived in fantastic condition. The colors are strong and there’s not a moth hole to be seen.